Ayn Rand’s books are great. The masterpiece Atlas Shrugged is a real masterpiece, and the less known The Fountainhead also. I mean, who can’t pay homage to Francisco D’anconia and Hank Rearden? Reading her book for the first time is eye-opening for everyone. It’s impressive and it’s overwhelming. Usually one picks up the book because it’s extremely famous and you heard it’s entertaining. But after a while, when you get around the middle of Atlas Shrugged, it’s just WOW! Rand is telling you a theory through a narrative. And that theory is all any capitalist hard-working person wants to hear. And the characters are all you want to become. It’s beautiful and awesome and intellectual and smart and ambitious and full of strength and heroic. But you gotta be real. So, it takes time to learn and understand you have to let it go. I don’t mean to forget it all, but to learn that theory is one thing, reality is another. Ayn Rand’s ideas are very utopian. In it’s grand majority, I adore them. But there are few points I feel she exaggerates a bit, it should be more flexible, more malleable, kinder, more charitable, more compassionate. And that’s why it becomes too rigid, too narrow, too robotic, and thus, loosing touch with reality. In the real world you can try to apply her beautiful theory. Daily, you can and should strive to do more, do more for yourself, think for yourself, enjoy freedom to pursue your happiness through the love of personal fulfillment in work and relationship. But it’s important to know that you are going to need help, others need help, and not everyone is at the same level. Some people strive, some don’t, and we need to interact with everyone. (Up untill here you can say Rand is still 100% right and I am not contradicting her, so here it comes). Interacting with everyone is not fighting everyone. It’s not a battle between your rightness because you know that you strive for betterment and they do not. It’s not a war between right and wrong. Rather it’s about acceptance, respect and open-mindedness. It’s important to be have empathy and compassion, aiding them can support your own struggle as well. And vice versa – the world does spin and you may be the one falling one day. In a few words, Ayn Rand‘s books and ideas are amazing but you need to outgrow them eventually. Or at least, know it’s not all there is. I usually don’t like autobiographies from businessmen. They always let me down. I start the book expecting to learn more about overcoming challenges, creating a big company and the personality of such great founders, but in the end, the author just wants to set the record straight on some still controversial issue about him or his company, or simply shift the blame for that horrible deal he made ten years ago. Shoe Dog, however, blew me away. I have to say it´s one of the best business memoirs I have read so far. Phil Knight, founder of Nike, tells his story since he was a teenager until Nike went big and did it’s IPO. Phil is candid, he tells you the pitfalls and obstacles he had to face and how he managed to grow and overcome the problems of creating a company. Always with a simple, superb, concise and very humble writing style. The book is short, easy to read and you just can’t put it down. Every business, specially a new one, will face obstacles. Huge obstacles. It´s sounds very obvious, but many people get scared, or quit, or panic or I don´t know what. Every entrepreneur got to know that obstacles and challenges are a given when creating a company from scratch. Through his own anecdotes, Phil teaches you to fight hard, step up your game, and play it like a man. Enterprises don´t get big from scratch. Here’s where Phil´s humbleness comes to play. By reading about his first employees, or the first time he got a shipment of Onitsuka Tiger snickers from Japan, or how the Swoosh was created, you learn everybody starts somewhere. There are no miracles. Start from the bottom and work everyday. Shoe Dog ranks top-notch. I dare say it is a must read for every entrepreneur. As an entrepreneur myself, I know how business books can be out of touch with reality. I constantly read about the passion you must have every day, or how maintain steady cash flow. Truth is, the everyday life of an entrepreneur is a bit more complex and it is full of headaches. Our daily life is about negotiating with banks to give you more cash, trying to get rid of old inventory or struggling to get some government authorization that will keep the business afloat. Phil get’s that, he is honest about it and very straightforward. Nike almost ended when their exclusivity of Tigers was suddenly given to a competitor, or when banks didn´t want Phil’s business anymore, or when the government fined them for US$ 25 million. That´s how it is. In the end, some people make it and some don´t. Phil did, and decided to humbly share his acquired-along-the-way pearls with us. Thanks Phil. I have written about Yehuda Avner before, so I won´t prolong myself too much. He wrote a wonderful book prior to The Ambassador, The Prime Ministers, which is a masterpiece, a truly inspiring and page turning account of real events. One of my favorite books of all time. That´s the reason I was extremely excited when The Ambassador came out. Although The Ambassador is a novel, I was eager to read something that resembled a historical novel, or a fictional story in which you feel the author´s been there and done that. Unfortunately, and very unfortunately indeed, The Ambassador is lame. It hurts me to say that, since I was expecting great things from Yehuda Avner. Let´s start from the beginning. The book imagines the creation of the State of Israel before WW II takes place. And it revolves around the ambassador of Israel in Germany during the first years of the war. The ambassador has to negotiate with the Nazis to grant Israeli visas to as much Jews as he possibly can, and in parallel, stop his co-worker´s plot to kill Hitler (otherwise the ambassador believes he won´t be able to grant visas anymore), and save his wife from the death camp. The synthesis above sounds actually interesting. I thought so too when I first read it. The famous “what if” story that tells “what it could have been”. But the book is none of that. The book´s plot is very thin, almost nonexistent. If not for a few better chapters with bit more meat, the whole book would just be the Israeli ambassador talking to his own self about what he ought to do next. It´s boring. There is no real-politik or nitty gritty diplomacy going around. There is no real holocaust stories to make the novel more real and powerful. There is very little action regarding the plot to assassinate Hitler; most of it is just talk. And to get away from the book´s emptiness or boredom, Avner tries to make an impactful and strong ending, that it actually turn out to be far-fetched and completely out of sense: the ambassador is able to kidnap Eichmann, convince the Allies to bomb the concentration camps, and to topple everything, he goes, in person, to rescue his wife in the middle of a death camp dressed as a Nazi. Really??? I didn´t want to finish reading the book. It was that bad. I was falling asleep every time I opened it. However, since I do finish every book I start, I hope you take my advice and don´t start this one. Yehuda Avner was a great personality. He worked backstage during the most important moments of the State of Israel, accompanying and advising prime ministers. I don´t want to take that away from him. He just didn´t strike it with The Ambassador. We are now at Chapter 3 of Miss Charlotte´s features, if we may call them features, because it would surely be an understatement. Let´s call them Miss Charlotte´s incredible traits, most elegant manners and most beautiful attributes. I struggled too much to find a topic which I could properly describe Miss Charlotte´s best characteristics. I ended up choosing to share with you the fine and marvelous experience of dining with such beauty. Once dining with Miss Charlotte, all other dinners become obsolete and boring. It really is a privilege to share a meal with the most coveted lady of our era. First, Miss Charlotte enters the restaurant´s main room. You feel time has stopped. People go quiet. All eyes turn to the lady that just walked in, and in turn, nobody can believe their eyes. Miss Charlotte always looks stunning and gorgeous when going for dinner. (Well, not only when going for dinner, for breakfast and lunch too). She has the ability to attract every single person´s attention in the room. It´s as if the Moon itself has come down from the sky to illuminate us from a much closer distance. Always beautifully dressed, elegant in all ways, not too fancy but perfectly adequate. Everything she dresses makes her body flawless. I guess it´s the opposite actually, her flawless body fits perfect in any outfit she chooses. And she chooses with exquisiteness every time. When she sits down to dine, I, personally, feel like the luckiest man alive. For such a magnificent lady to share a meal with me is one of the best experiences any man can have in a lifetime. Not that I think little of myself, but Miss Charlotte really is a rare and precious jewel. When the food arrives, that´s the moment you can really see the royalty inside her. She eats only a bit, and paces herself from beginning to end. Her posture never fails, not for a second. Her manners are magnificent; like the real Duchess she is. Miss Charlotte knows exactly when to chew, when to eat, when to talk. I can´t take my eyes of her during the whole time. She dazzles me and every person sitting down in that room. An extremely important point to realize here is that all her gorgeous manners and actions, her beauty, her elegance, are completely effortless. Miss Charlotte is a natural. She´s the real thing, alive. It´s really unbelievable. At the moment I pay the bill, again all eyes turn to her . The restaurant goes quiet. And when she steps out of the room, it feels as if the Sun has just left us to ourselves once again. 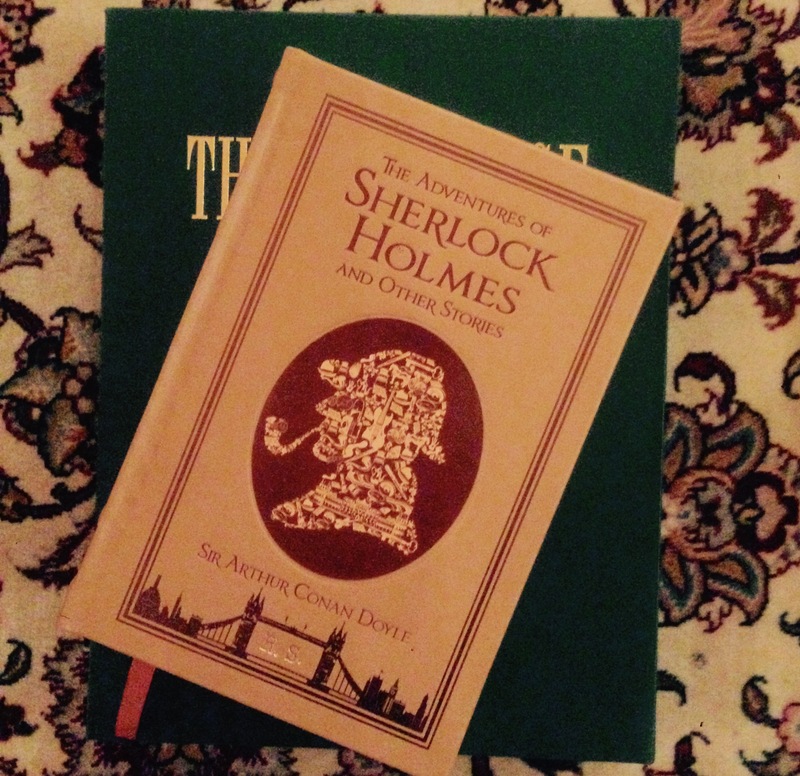 I will not enter the minutiae and nuances of each book or writer throughout this post. My focus here is another, but I shall use both books as the foundation for my thesis, albeit it might be one you heard before. Of course, and not without motive, all we hear today is ISIS. ISIS is the threat to the world. ISIS is the biggest radical movement up to this date. ISIS fuels violence on a personal level like Al-Qaeda never did. ISIS attracts young Australian and British young kids to fight Jihad. ISIS is building a caliphate. ISIS has billions of dollars. What is it with ISIS? What makes them so “unique”? Are they smarter? Are they businessmen? What´s going on around there? Who is ISIS? How they attract so many people? All those questions are valid ones. They are substantiated, but are very hard to be answered objectively. The ISIS Apocalypse by William McCants, and Inside the Army of Terror by Michael Weiss & Hassan Hassan try hard to answer as best as possible what make ISIS what you see in the news today. Unfortunately, they are not very successful. But I don´t blame them. Although both books are worth reading, they will not suffice if you´re looking for a better understanding of the new radical Islam phenomenon. Actually, nothing will suffice. Because in my humble opinion, it´s a matter without a straight-forward explanation. Not one person, or organization, or think-tank, or the UN is able to explain how ISIS is conquering the Middle East, and our young and brightest. The books mention their ability to exploit social digital media, video digital effects, the force of a united banner, huge amounts of daily revenue, and on and on. But really??? These are the reasons people will join a fight to behead infidels and treat their women like garbage??? I don´t buy it. I was hoping that by reading McCant´s and Weiss´s book I was going to have a better understanding of what´s going on with ISIS and how they became so powerful. But, after finishing both books, I was even more confused. I am sure there is a wide array of variables that made the current scenario a reality, but I am unable to pinpoint with exactitude such variables. And so are the authors, journalists, publishers, and everyone else who pretends to know something. Time will tell if ISIS is just another radical group that will either die or transform itself into something else, like so many other groups before them. Or they will endure to create their so called caliphate and attract more and more people into their craziness. The fact of the matter is that how such a powerful and destructive group emerged and continues to live and grow is a question even the most knowledgeable of intellectuals are struggling to find an objective answer. ISIS’ power of persuasion, resistance and endurance is not to be underestimated. If we could find their formula, we ought to apply it for more righteous purposes. Maybe then we could balance the scales of Good vs. Evil. Ben Mezrich is a great author. His books are all page-turning adventures, many times recounting a true story. They are fast-paced, gripping, interesting, and out of the box. I have to admit that I did not read Ben´s earlier books, mostly novels that didn´t hit the charts. But I am a fan of his latest books, the non-fiction tales, which usually evolves from a person or a group of people who, with audacity and luck, made millions or billions of dollars. Ben really made it big when his book Bringing Down the House was adapted to the screen with the movie 21, starring Kevin Spacey and Jim Sturgess. An awesome book and an even more awesome movie is 21. After that, his book The Accidental Billionaires was made into the movie The Social Network, immortalizing Mark Zuckerberg as a ruthless and visionary genius. I don´t know anyone that haven´t seen both movies. You shall thank Ben Mezrich for them. 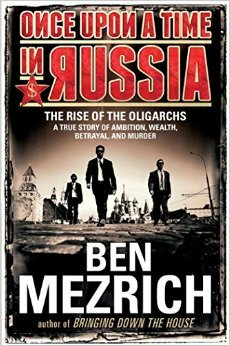 Ben’s latest book, and not coincidentally the latest one I read written by him, is Once Upon a Time in Russia: The Rise of the Oligarchs – A True Story of Ambition, Wealth, Betrayal and Murder. To be straight with my readers I have to say first things first: the book did not impress me the way Bringing Down the House did. Still, it´s an interesting and engaging story. The title is misleading, which disappointed me, since I was hoping for more, a lot more. The book is about the story of Russian oligarch Boris Berezovsky. Solely. Honestly I was hoping for a story pertaining to all oligarchs in general, learning more about 1990´s Russia, perestroika, macro views on the political and economic situation, and in parallel, get to know how is that Abramovich, Potanin, Usmanov and others were able to capitalize on the distressed position of the country. I guess I was hoping for too much. 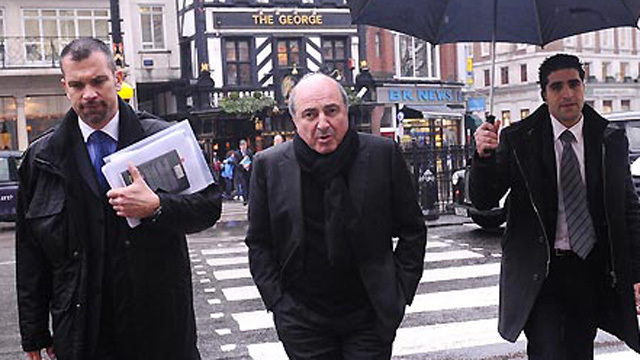 Berezovsky´s life, however, is not to be dismissed. Ben is able to detail and describe the main events and decision that led to the oligarch rise and fall, always with the addicting drama and fanfare. Berezovsky, like other oligarchs and opportunits, decided to take advantage of Russia´s privatization processes after the communist era, starting with Gorbachev, then Yeltsin, and now Putin. To make a long story short, Berezovsky started by figuring out that state owned companies were being sold for pennies for those with enough political influence. It was a time of huge turmoil, where influence and money were the causes for assassination in the light of day, threats and kidnappings. Boris hit the jackpot when he acquired TV channel ORT and, a couple years later, bought Sibneft with Roman Abramovich. To read about his demise is actually more interesting that his rise. It all started when, in 2000, Boris decided to support Putin for president, because he was afraid the opposition would end his diversions and affairs in the government, hence no more cash flowing in. It was a huge mistake. Putin did win, but the man was so strong willed that Boris could not control him. 13 years later, the oligarch mysteriously met his end in his English mansion. The book is worth reading. Ben Mezrich is always a great writer and you just can´t put the book down if you haven´t finished. But once you did finish it, and you put the book down, it doesn’t strike you as a great tale. Mezrich´s Boris will linger in your mind for some days, for it is a movie type non-fiction story, but it will end up being forgotten. If you´re interest in Ben Mezrich, start out with Bringing Down the House. This post should have been written in 9/11, but, as they say, better late than sorry. 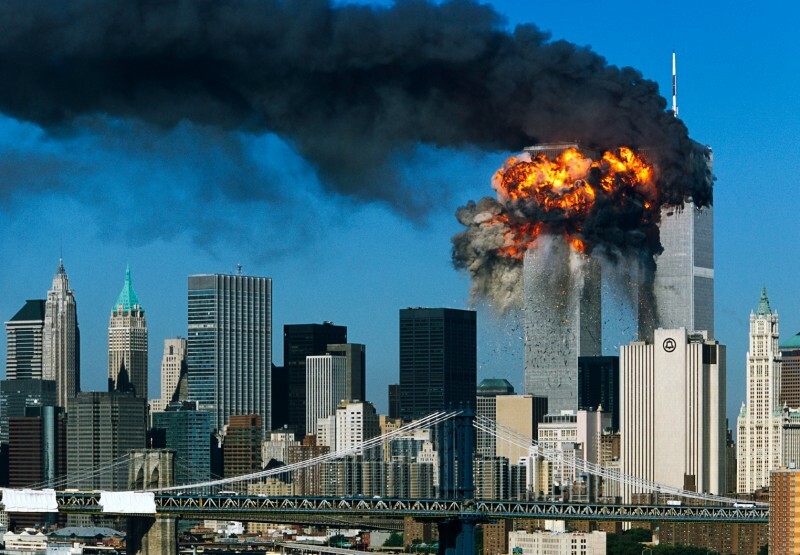 I am not an American, but what happened in Manhattan in 9/11/2001 was a tragedy that opened all our eyes, and made us face an enemy we were either ignoring or unaware. 9/11 was a singular point in history when, before it, freedom was a given fact, and after it, freedom was under real threat. Muslim fundamentalism and terrorism is a threat to the world. Even though the great USA suffered the biggest blow, it concerns all of us. The first one is called The Looming Tower: Al-Qaeda and the Road to 9/11 by Lawrence Wright. Wright is a New Yorker famous journalist, who is very thorough but has the gift to write nonfiction like a novelist, and when he sets about a theme for a new book, you get to feel the power of his extensive research. Just as a parenthesis, his new book about Scientology, Going Clear, was just turned into an HBO Special, which I am eager to watch. In The Looming Tower, he decided to enlighten us on how 9/11 happened, or better said, how it came to be. He starts his research way in the past, during the days when Russia was trying to invade Afghasnistan in 1979 and the new Muslim warrior started to take shape. He then goes on to 1988, when Osama Bin Laden founded Al-Qaeda with the purpose of blaming all of Islam´s ills upon the West. And so the book gets thicker, thoroughly explaining how the terrorist organization worked, talking about Osama´s background and personality, his funding and his followers, and of course, how they planned to attack America at its heart. 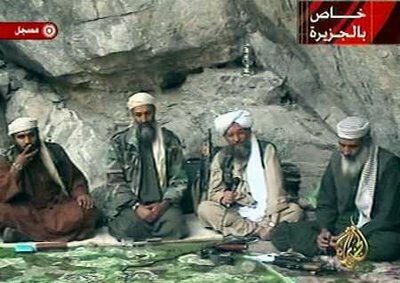 Organizing and leading a terrorist group is not as simple as it sounds, it´s a complicated and flawed business that does not function like a Toyota factory, therefore, it is not impossible to catch. Wright, at the end, conjures that was it not for a tremendous fail of communication between the different American intelligence agencies, the attack could have been avoided. But what is done is done, and although we ought to look forward, The Looming Tower is the best written, most informative and interesting book to understand the events that led to 9/11. The second book is 500 Days: Secrets and Lies in the Terror Wars by Kurt Eichenwald. Eichenwald is also a reporter, famous for his book The Informant, which was later turned into a great spy movie. 500 Days starts exactly 19 minutes after the first plane hits One Trade Center in New York, and it finishes 500 days after that moment, when “Osama Bin Laden, the infamous mass murderer of the twenty-first century, sank silently to the bottom of the sea”. 500 Days, however, is not about the war being fought out there, by the soldiers in Afghanistan and Iraq, or the SEAL Team 6 that catches bad guys in the dark of the night (watch Zero Dark Thirty for that), the book is rather about the war being fought in Washington DC, inside the White House, the Congress and the House. When the CIA found out who their enemy was, George W. Bush figured out this was the first time America was at war against a faceless enemy, there was no army or nation to fight, but crazy rebels scattered around the globe. Therefore, the White House started to take decisions that had never been thought about of before. They were figuring the way to fight terrorists in a full scale war for the very first time. For instance, laws to engage countries that gave shelter to terrorists had to be approved by the respective channels of democracy, and a new way of convicting and imprisoning terrorists and suspects had to be created (hence Guantanamo Bay and Abu Ghraib). In addition to that pioneering spirit, if I may call it that, Bush was adamant that America had to act strongly, decisively and quickly (which I agree). 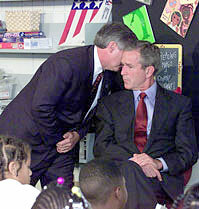 Congress, lawyers and generals were running after Bush and Cheney´s decision. It was a mess, but it had to be done, and Eichenwald goes through that extremely rough and challenging phase of America with great expertise and detail, from the inside, step by step. Wright´s book tells you how it came to be. Eichenwald´s book tells you what happened after the fact. But I am yet to find a great book about those few horrifying minutes in the morning of 9/11. Cristiane Correa is a Brazilian journalist who focuses in business and management. She left a prestigious career in one of the best business magazines in Brazil, Exame, to start a new path as an author. Her first book was Dream Big, published in 2013, and her second book was Abilio, published in 2015. Both books describe the lives and journeys of great entrepreneurs of Brazil, but they are not quite similar. Dream Big is about the story of, mainly, Jorge Paulo Lemann, and his two partners, Beto Sicupira and Marcel Telles. Jorge Paulo Lemann is a billionaire that does not rest. He brought to Brazil the culture of meritocracy, where working with “A” level people is the best way achieve the biggest dreams, emphasizing that compensation is largely rewarded to those that truly deserve it. Lemann is never afraid to share equity with those capable people who can leverage the business. 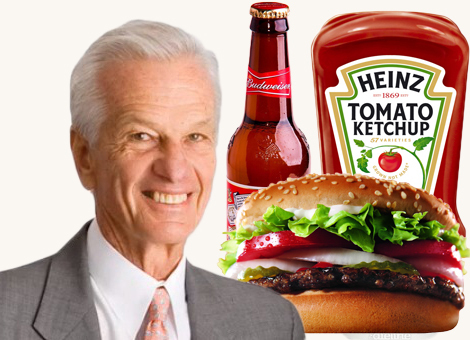 Jorge Paulo Lemann became a celebrity when he bought Anheuser-Busch in 2008 for $52 billion. He also acquired Burger King and lately Heinz. Cristiane Correa admires Jorge Paulo Lemann in every page of the book. Although I also admire Jorge Paulo, let’s leave aside my personal opinion since I don’t want to bias the comparison between both her books. Cristiane fills the pages with anecdotes of the billionaire and good deeds he has done in the past. The objective of the book, besides to tell a story of how Jorge Paulo became what he is today, is to describe the values and the drive by which he rules and created his many businesses. For instance, she lists the main principles by which he guided his first company, Banco Garantia, among them: the boss’s main job is to find better people than them to create continuity to the institution; always reduce cost, it´s a variable under your control that guarantees survival; or only appear on the news with clear objectives. Abilio, Cristiane’s latest book, also describes the journey of a great entrepreneur and businessman, Abilio Diniz. Diniz took the reins of his father´s business at a young age and went on to create one of the biggest retailers in South America, Pão de Açucar. He endured hyperinflation, a kidnapping, almost bankruptcy, family disagreements and ugly fights among partners, but he always won in the end. 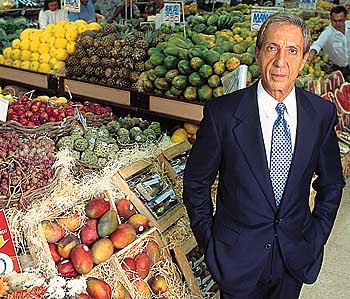 Abilio Diniz became a billionaire by skillfully managing and growing his supermarket business. He is competitive, loves fitness and body wellness, is fierce and always plays to win. Today he spends his time looking for new opportunities to explore and new businesses to buy through his own family office. Abilio is a page turning and grappling book, but it´s not the same as Jorge Paulo Lemann´s. Unlike Dream Big, Abilio is only story telling and it doesn’t analyse his decision making processes. Although there is a sense of awe to everything Abilio did in his lifetime, there is no feeling of admiration throughout the book, as we see in Dream Big. Cristiane Correa made sure Lemann´s values, principles and rules of guidance were well described and illustrated, as if to create a manual for future Lemanns of the world. In Abilio´s case, there are no such principles or rules embedded in the book, only his will to win and his time-limited journey. Dream Big is about dreaming big, the way Jorge Paulo Lemann does. Abilio, on the other hand, is only about Abilio, and so it lacks Lemann´s depth. Some people just can´t see the value of book covers. In a way, the argument that covers are not a truthful exposition of the book´s content may hold true. So if a person judges a book by its cover, he or she has a sort of implicit prejudice imbued in themselves, a pre definined concept of what the book may hold before even opening it. Well, I´m sorry to break it to you, but those people don´t have the slightest idea of what they are talking about. Book covers are important. Period. Let´s start by attraction. If a person it´s pretty, has a delightful body and lovely face, he or she are already one step ahead in your scale of the perfect person. Now, you might say I´m shallow, but I have never heard someone that, all variables maintained equal, prefers to date an ugly person than a pretty one. And I do know that beauty is in the eye of the beholder, but so is a book´s beauty. It works the same way at all levels. The content and the inside of the book is obviously more important than its cover. But don´t you rather have a pretty book than an ugly one? Another point, decoration. People decorate their houses and offices with all sorts of objects: vases, ashtrays, porcelain, silver boxes, flowers, and guess what, books with pretty covers…None of these objects, except the books, have any inside content. It´s not like you open up a flower and you find a treasure of knowledge or just a cool little tale to explore. Therefore, if we eliminate the fact that books have awesome things inside them, they can still serve the sole purpose of decoration. So yes, books with nice covers are better because they can fulfill different purposes. One last argument, book covers do give a glimpse of what´s written inside them to the potential reader. This is not true for all books, but we may say that, usually, a good book has a good cover. Therefore, it´s actually is a smart move to choose a book by its cover when wandering about in a bookstore. Of course, there are excellent books with horrible covers and vice-versa, but chances are in your favor that a good cover holds inside good content, when picking randomly. My point here is: decisions based on first impressions do count, because, more times than fewer, they are correct. If it looks like a duck, swims like a duck, and quacks like a duck, then it probably is a duck. Besides, I rather own amazing and beautiful looking books than ugly ones. At first sight the book seems amazing. 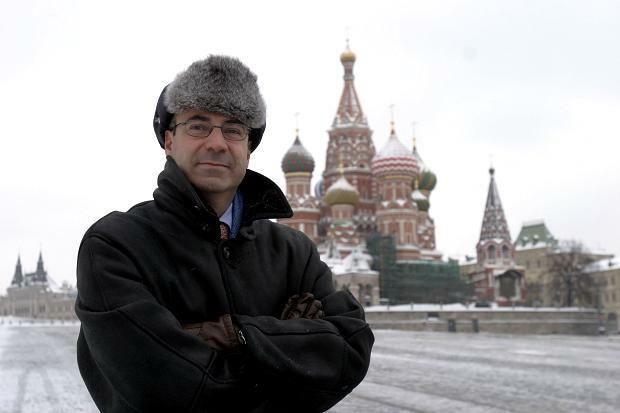 Bill Browder was the founder of Hermitage Capital, a hedge fund based in Moscow created with the objective of seizing huge financial opportunities in the land of the czars. So, in a reasonable fashion, I thought the book was all about Browder´s adventures, his quest to make money, and the various trades and deals he made during his time as portfolio manager in Moscow. Well, I was wrong, if not completely, at least half wrong. The book begins really well, with exactly what I was expecting. Bill starts the book by telling his personal story, how he started out in the financial markets and then how he founded his own hedge fund. Hermitage Capital was the product of a lot work from Bill and a lot of money from the deceased financier Edmond Safra. Bill saw the opportunity to exploit the financial opportunities that were arising in the post perestroika era in a corrupt economic environment, while Safra put in the money. What´s important to understand here is that we´re not talking about a regular hedge fund, we´re talking about a hedge fund in Russia wishing to make money out of privatizations in one of the most crooked countries in the world. Bill decided to go after the oligarchs of Russia, the politicians in the Kremlin and the whole system. He was poking the eye of the monster. Of course, with big risk, comes big reward. The book then tells a few of Bill´s successful trades. He started out by figuring out how privatization actually worked and exploiting that. State owned companies were being sold by fractions of what they were really worth, and Bill worked tirelessly to get a piece of them. In one of his trades, Bill decided to go face to face against one of Russia richest men, Vladimir Potanin, in order not to get diluted and squeezed out of Sidanco, an oil company based in Siberia. He won the battle by appealing to Russia´s head of the central bank, but, in the process, he found out Russia was not the USA. Those were the stories I was looking for, but unfortunately, the book becomes something else from then on. Browder, after poking too many eyes and infuriating too many people in Russia, became victim of corporate raids, criminal indictments, fraud accusations, etc.… all in order to flush him out of the politicians and oligarchs way. Browder, thus, started to hire several lawyers and accountants, one of them called Sergei Magnitsky. Magnitsky was arrested, beaten up, tortured and murdered in 2009, at the age of 37, for trying to protect Bill and expose Russia´s corrupt politicians and FSB (formerly knows as KGB) agents. The last half of the book is solely the story of Browder and Magnitsky, the good guys, against several Russian characters, the bad guys. In the end Browder describes his crusade in America to avenge his friend´s death and do some justice in the world, culminating in the Magnitsky Act in 2012, which punished those responsible for his death by denying entry to the United States and blocking their bank accounts. I don´t want to downplay Browder and his quest for justice, nor I want to deny that Magnitsky was a martyr. I have to acknowledge both of them did a lot to uncover a corrupt system and put to light some of its worst criminals. But I bought a book hoping to read about amazing trades and adventures in Russia´s privatization era. I was hoping to read more about how and why, in a detailed manner, Hermitage Capital became one the most successful hedge funds in the world for a time. Although I was not fully satisfied with the book, I admit I may have misread the last words written right on its cover: Red Notice: a True Story of High Finance, Murder and One Man´s Fight for Justice. I guess half the book for a “Story of High Finance” is what I should have expected since I first decided to read it. Not a favorite. I´m sure Bill could do better. But if you still feel like reading it, do it over a flight.